The Nissan Navara van is the perfect pick-up truck for work or play. It is equipped with a powerful turbo-diesel engine to produce a perfect combination of performance and fuel efficiency. 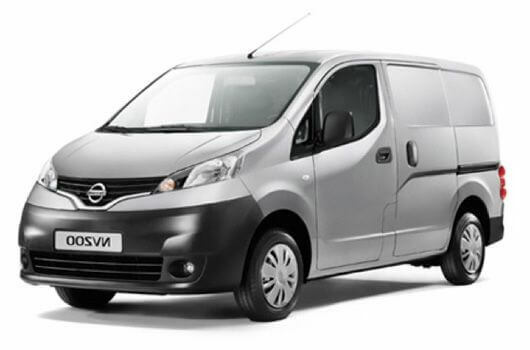 Nissan are so confident in this van that it comes with a 5-year or 100,000 miles manufacturer warranty as standard. 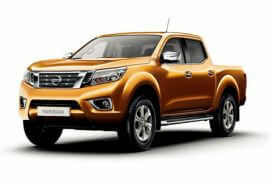 Nissan Navara vans are in stock now and available to buy for affordable prices through UK Vans Direct. The 4-wheel drive capability of the Nissan Navara vans means you can go wherever you want to go whatever the conditions. The Navara can also switch between three driving modes depending on the challenges posed by the driving conditions and terrain. There is the 4-wheel drive ‘high’ mode for light off-roading, with the 4-wheel drive ‘low’ mode for serious off-roading over terrain such as sand, snow or mud. The third option is a switch to 2-wheel drive when you are on smooth tarmac. 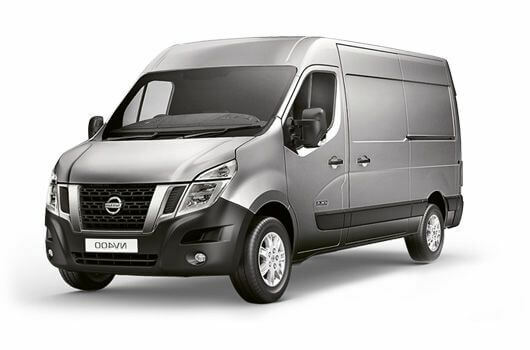 The 1-tonne load capacity also means you can carry huge loads without worrying about affecting the performance of the van. Whether it is tools, materials or even toys you need to transport, the Nissan Navara can carry up to 1000kg worth of cargo. The towing capacity is even larger at 3.5 tonnes. There are two engine options in the Nissan Navara range, including the robust 2.3-litre 190-horsepower twin turbo diesel engine. There is also the single turbo diesel engine which produces 163 horsepower. The fuel economies are up to 46.3mpg and the CO2 emissions start from 159g/km. 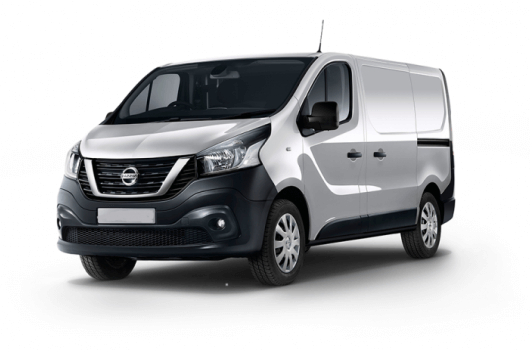 With the manufacturer having tested the engines over millions of miles, you can be sure they will deliver the rugged performance and fantastic efficiency promised and expected from a Nissan Navara van. Nissan Navara vans are available now from UK Vans Direct with prices starting from £20,595.00 plus VAT and Road Fund Licence. There are hire purchase deals available too starting from £344.62 per month. Delivery of the van is free of charge. For more information about the Nissan Navara range of vans, call our team of Nissan van experts on 01709 717200. Nissan have introduced a much improved Navara range to give you improved performance, economy and features, now available in the Visia, Acenta, Tekna and Connecta models all backed up by a 5 year or 100,000 miles Manufacturer warranty.